Today I have a huge fashion haul for you, I have things from quite a few different places including Primark, New Look, ASOS, Next plus other places, this post will be quite picture heavy I'm afraid and trying to photograph clothing isn't easy so if you would like me to do some outfit posts wearing any of the items shown please let me know in the comments, but for now I shall crack on with the haul. 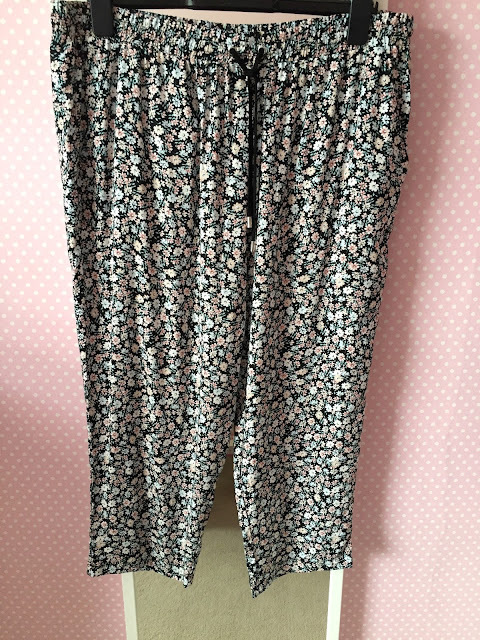 The first thing I got from New Look are these cropped trousers, they have a small floral print on a black background, they're elasticated at the waist with a black drawstring tie and pockets to the sides and a single pocket on the back, I thought these could be dressed up with sandals and a cami or down with converse or espadrilles and a black t shirt. They were £17.99 and come in sizes 6 - 18. 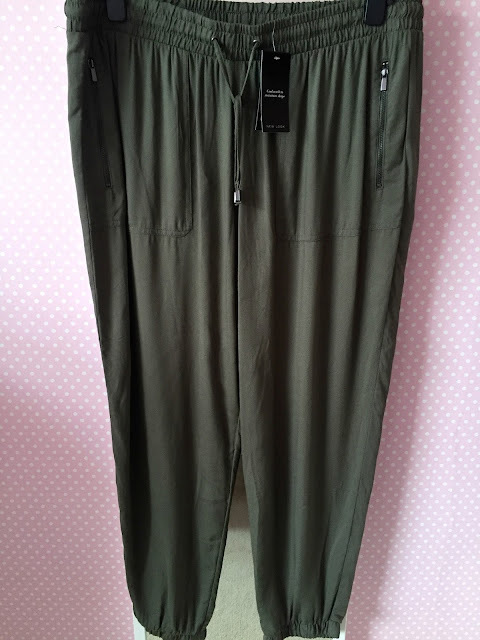 Next up from New Look are these Khaki jogger style trousers, these aren't typical jogger material and feel like cotton trousers, they're super comfy too. They are elasticated waist and have a drawstring at the waist, they have pockets at the sides with gunmetal coloured zips. I wanted something casual to wear that's different from leggings or jeans and these I think will be nice with a white t shirt and converse and a denim jacket. They are £14.99 available in a size 6-18. 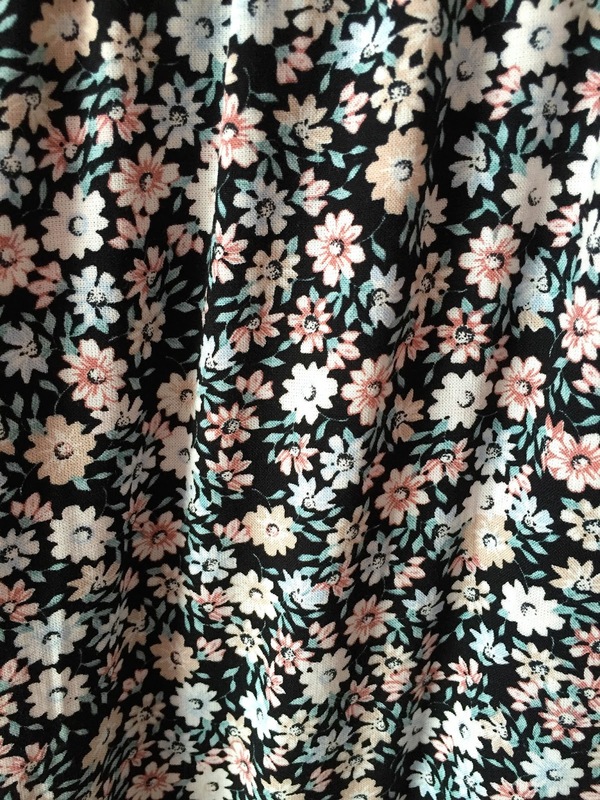 Years ago I bought a black maxi dress from Asda and wore it so much it needed binning and have been looking for something similar ever since, I found this one on the ASOS website and it is about as similar as I'll get I think. 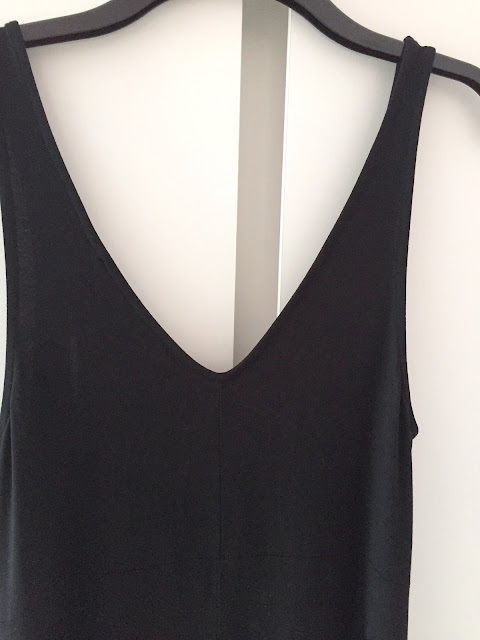 It has a scoop neckline at the front and a v back and is very comfortable to wear, it does have a seam under the bust area and down the front which I'm not keen on but to be honest you can't see it. The dress is £20.00 and available in a size 18-30 from the ASOS curve range. I picked a few things up from Next and the first is this skirt, it comes to just above my knee so not too short and has an elasticated waist with a pink drawstring detail with a tassel finish. 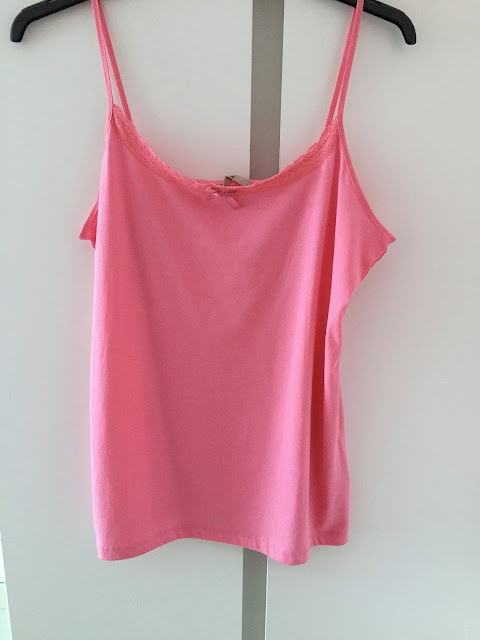 I have a pink cami that this will look lovely with. The skirt is comfortable and I imagine would be cool if we ever get any summer! Next up from Next is this bright fluro cami style vest top, I always buy my cami style vest tops from Next, they are really comfortable and a nice length and they wash really well too, depending how many you buy depends on the price, one is £4.50 but you can buy 2 for £8.00 or 3 for £12.00 and they come in a variety of different colours. 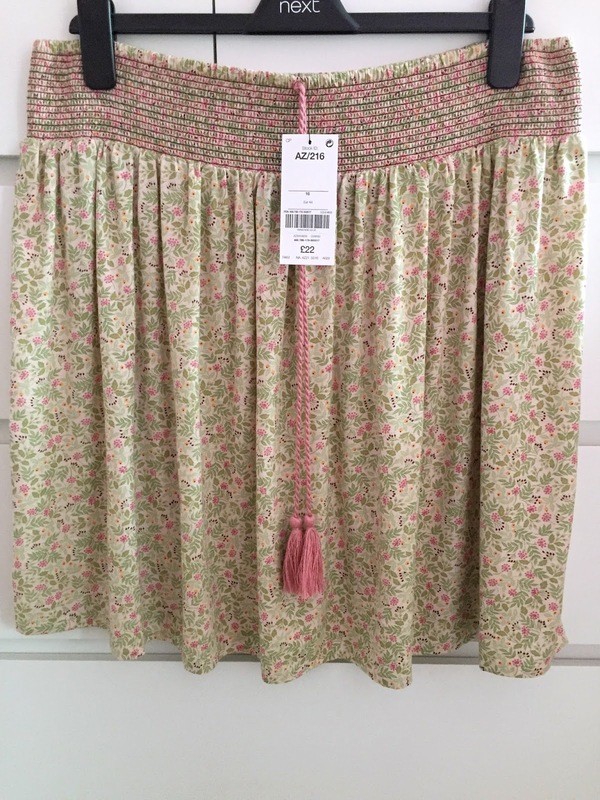 They are available in sizes 6-26 and are also available in petite and tall as well as regular. 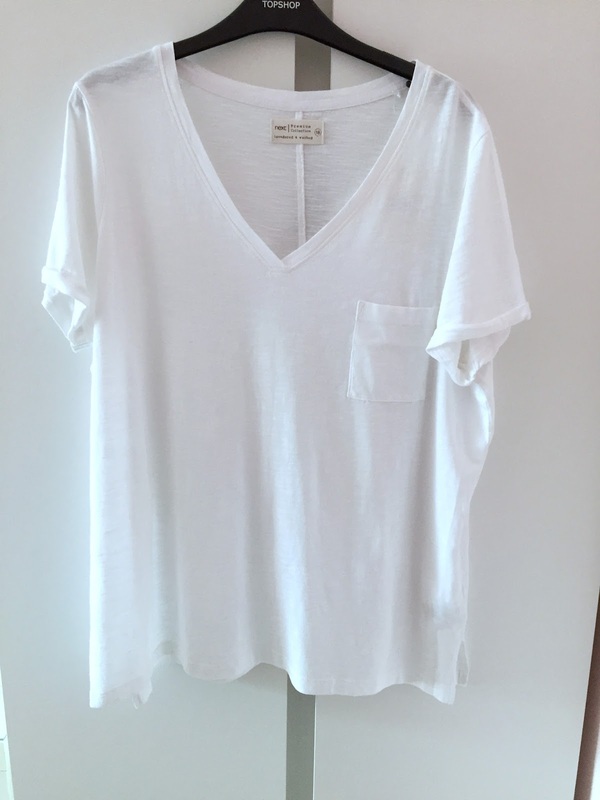 Lastly from Next is this plain white t shirt, I have been on the hunt for a plain white t shirt for some time and believe me when I say they are harder to track down than I thought, but this one from Next is nice, and isn't too thin or thick and feels lovely on. 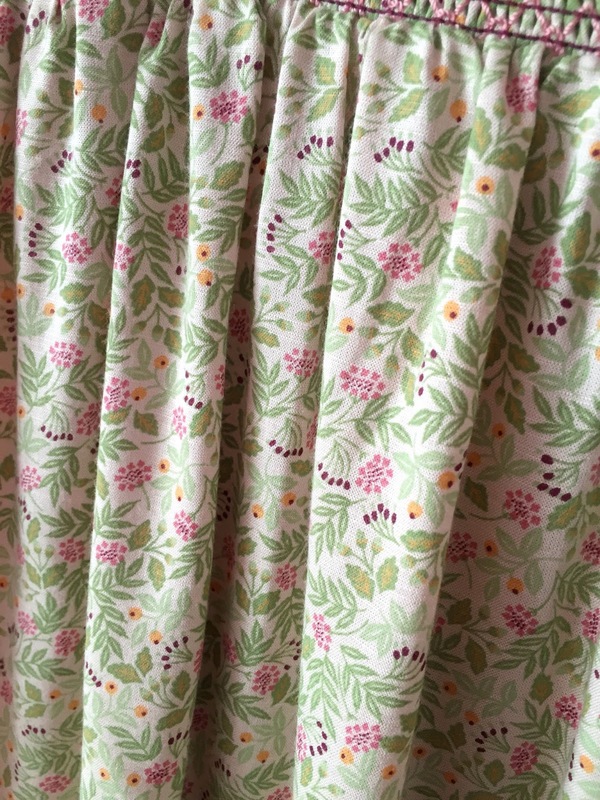 It has roll up sleeves and a pocket on the chest. 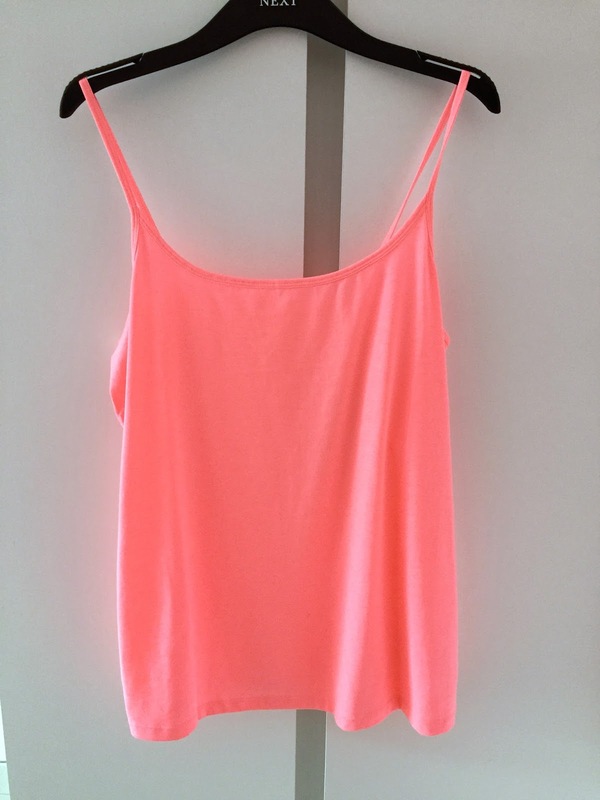 It was £14.00 and comes in a variety of colours and is available in sizes 6-26. 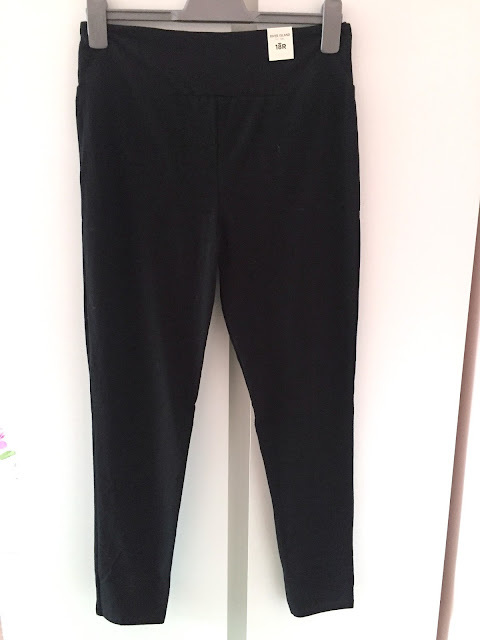 I picked up some more leggings from River Island, I always wear these leggings and have done for many years, they are high waisted and a good thickness, you can't see through them. They wash well and last well too and if you're looking for some leggings I can highly recommend them. When food shopping in Sainsburys recently they had 25% off their TU clothing range, Simon and I had a look round and we picked up a couple of bits for Simon and some new PJs for me, they are super comfy and to be honest I would go out of the house in them if I could, the bottoms are so pretty and look like summer trousers, with a black background and bright floral print, they are elasticated waist and cuffed at the bottom. There are many days when I am unable to get dressed so these are brilliant for those days as they don't really look like PJs. They were £7.50 originally £10.00, unfortunately I couldn't find a link online for these. 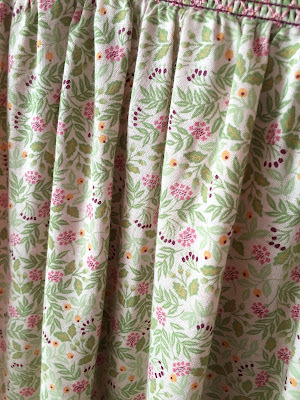 To go with my PJ bottoms I picked up a 2 pack of PJ tops, they are vest top style in mint green and pink and both go really well with the bottoms. Again there isn't a link for these online but they are available in store for £6.00 for the 2 pack. Last year my lovely friend Khila bought some shoes from ASOS and I loved them, they were cream leather espadrilles with a navy toe and super nice but they never had my size and they have never been available since, roll on to this summer and Primark have these which are practically identical, they are so similar if I were Peter Kay I would say they are "chocolate fingerez" and in fact did say that when I saw these in Primark. 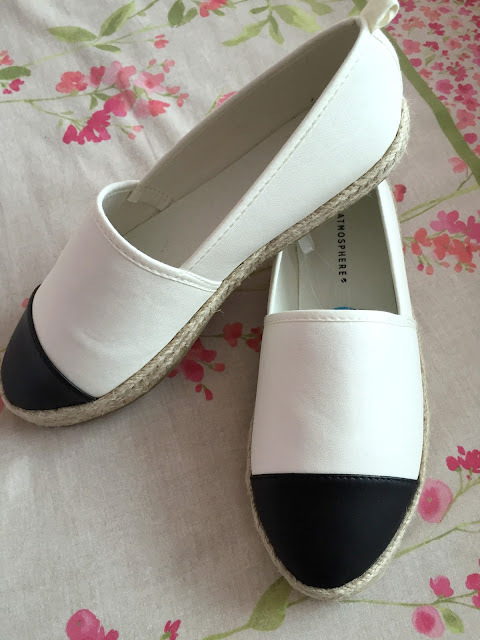 They are really comfortable and only £8.00 which I don't think is too bad at all for some summer shoes, they are cream pleather with a navy toe and an espadrille bottom and they have a hard sole. I thought these made a change from my ballet pumps and converse on days when a full shoe is needed i.e. when it rains, as it always does here in England! 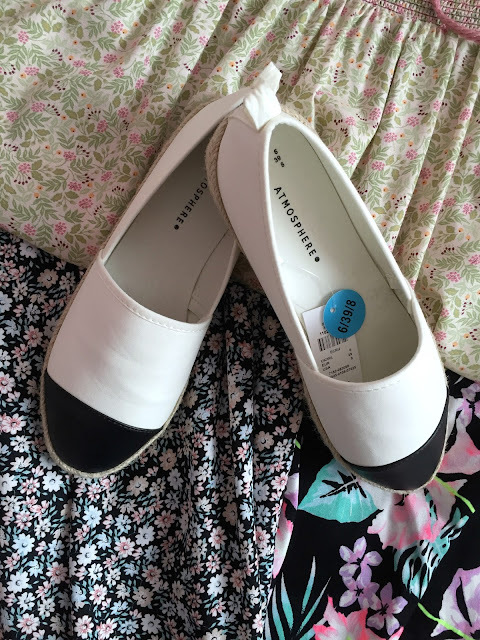 These look lovely with lots of outfits and I know I will get a lot of wear out of them over the summer. 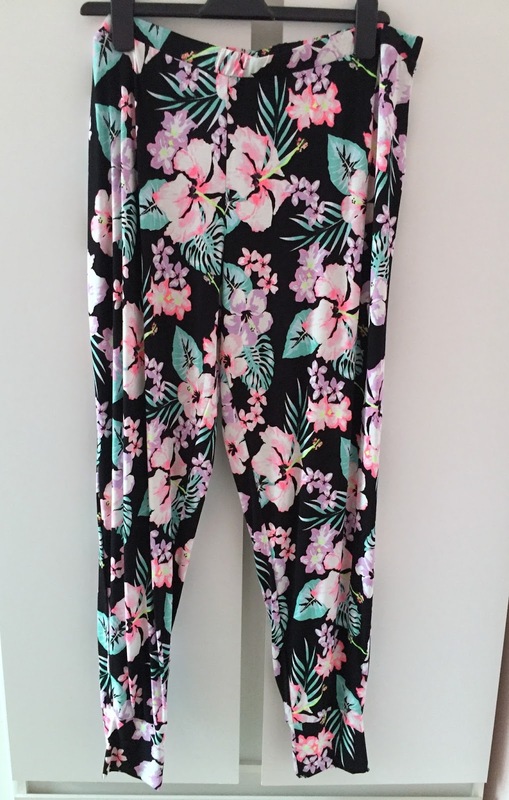 Unfortunately I cannot link to these but they are £8.00 and sold in Primark stores. 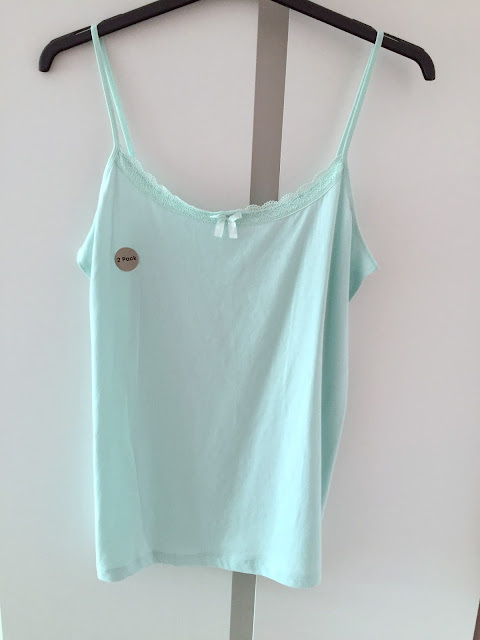 So those are all the things in my summer fashion haul, which item/items were your favourite/favourites? 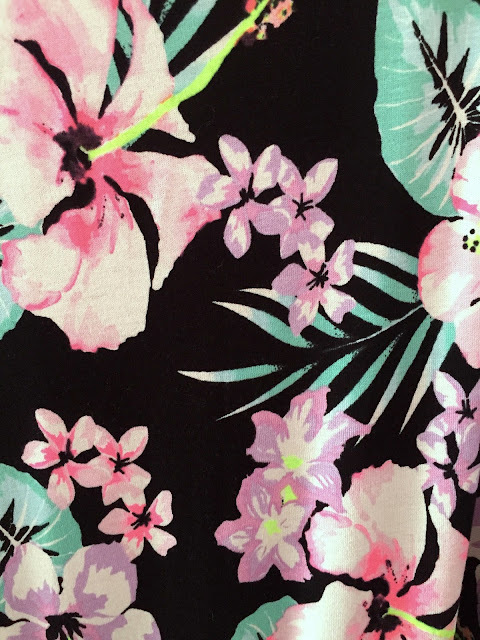 As I said it is hard to show clothes in blog posts so please let me know if you would like to see any of the items in a fashion post. I do have a beautiful necklace that I bought recently too but unfortunately it didn't arrive until after these photographs were taken, I will sneak it into my next haul for you although that may be a beauty haul but I'm sure you won't mind, it's so pretty.